With the height of 3,726 meters above ocean level, Mount Rinjani is the second most elevated mountain in Indonesia and it is an active volcano with an extensive variety of scenes and pockets of extraordinary characteristic magnificence. The energizing trek up Rinjani Mountain is unquestionably testing your stamina, yet you will love it when you are already on the peak watching out over the edge of Lombok over the sea and to the volcanic pinnacles of neighboring Bali and Sumba islands transcending the mists in the sky. 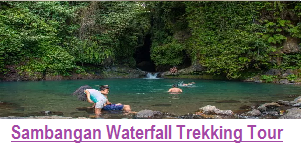 For beyond any doubt this is an astounding journey that takes three days and four evenings, which truly enables you to get very close with Mount Rinjani. 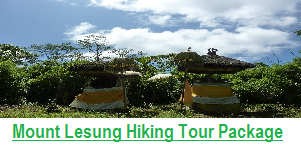 In this visit you begin by trekking through a rainforest past lavish greenery and contorted tree roots and branches. At that point you advance higher to rockier and cooler climes until the point when you achieve the hole edge where you will camp for the night there on the spot. 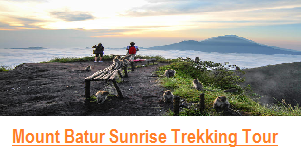 The journey then continues as the sun rises right in time in the following morning, you will be dealt with to see over Lombok’s shores and past to the Gili islands and Mount Agung transcending Bali out in a long distance. After breakfast it’s onwards to the shocking sea green/blue lake in the pit, and afterward to the hot springs where you can splash your drained muscles in the warmed natural spring pools in a beautiful surrounding. On the third day, you will likely experience the most difficult outing; be that as it may you will likewise get the most valuable thing. It is on the grounds that you will at last advance toward the summit of the spring of gushing lava. From the best you can watch the sun ascend over the whole island of Lombok illuminating the flawless hole lake underneath, and in addition the neighboring islands scattered along Indonesia’s Ring of Fire. 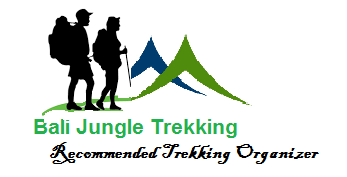 This is unquestionably a trek and a half, yet additionally an extraordinary experience which is very distinctive. 09.00-10.00: pick up service at your hotel in Bali, then continues for transportation to Lombok island. 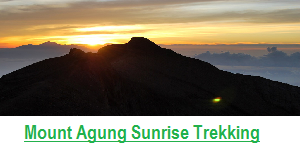 We will give you a wakeup call very early in the morning so that we start trail trek to mount Rinjani. Our guide and porters will prepare and serve you meals, drink, along the way. Enjoying toTrek along the national park, seeing the wild life and feeling the nature is completely unforgettable experience in your life. “This is truly the God’s adventure!!”. After we arrive at base camp 2 (two) 1,500 m, then we can have the traditional lunch, then continue our trek through the rain forest. And finally we will arrive at the base camp 3(three) 2000m, prepare tents, having night dinner and stay over night. Wake up early in the morning continue our trek up to the crater Rim, Arrival at the volcano rim (this is the top point). There we enjoy the spectacular view, morning sunrise, lake view and surroundings. 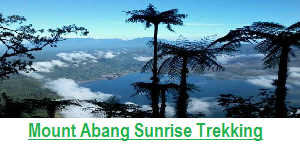 After having breakfast, continue the trail trek down to the magical lake of “Segara Anak”. Arrival at the lake, there we enjoy lunch, swimming in the lake, and enjoy the natural hot spring bath. Morning wake up call, having breakfast and enjoying the spectacular view, morning sunrise, lake view and surrounding island. Descent back down to Senaru Village (the finish point of our trek). 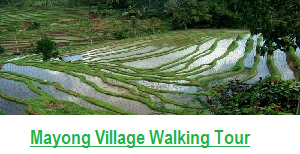 Arrival at Senaru village, then transportation back to Bali, or boarding mini bus to your next destination in Lombok. Ticketing prices can change without notice, so please use the form below to contact us! A representative with get back to you as soon as possible regarding current pricing, and to arrange your booking.